A “cold plate” is a cooling system in which a refrigerant fluid is run through metal pipes that are integrated within aluminum casting plates,removing the heat from heating elements such as substrates. Such a system makes use of aluminum’s high thermal conductivity and achieves far better results than air cooling. 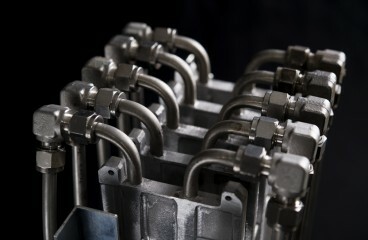 Sakae manufactures its cold plates using “Vacuum Casting” a sophisticated casting method that involves decompressing sand using a vacuum and the forming of a sand mold. 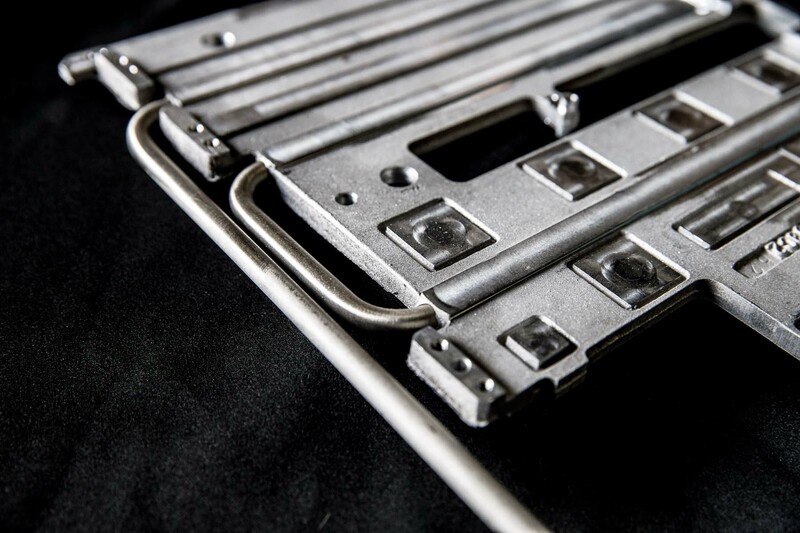 The superiority of this process, which is better than conventional plates produced by machining—in terms of cost as well as its degree of flexibility in shapes—combined with the company’s proprietary methods has given rise to a thin plate that is highly effective in cooling. 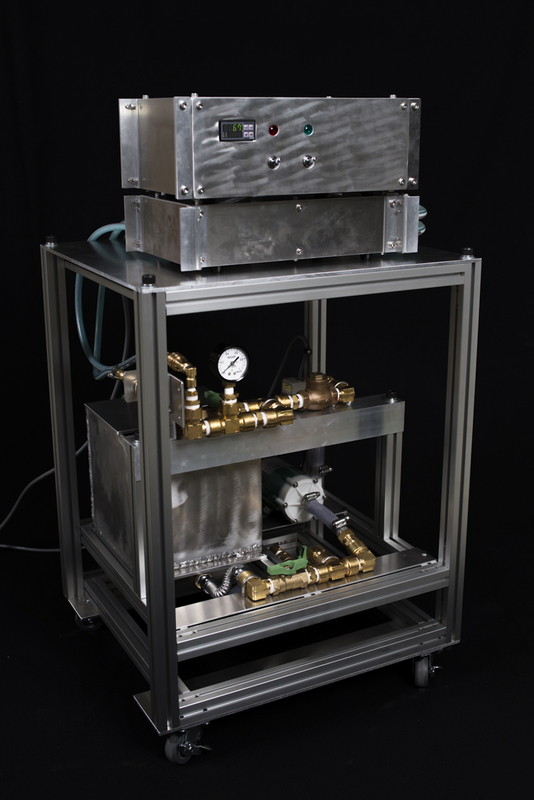 The company developed the “Aqua System,” a new recycling-oriented heat transfer system, by employing this technology. 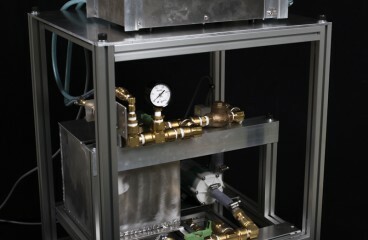 The Aqua System circulates water through pipes among the internal portion of plates inside a heater, allowing the transfer of heat from the source to another area. For example, it can be used to melt snow that has piled up on a home’s roof by heating the plates in a room and conveying warm water to the roof through a series of pipes. The system can also be used for floor heating and constant temperature water tanks for fish farms, among a variety of other applications. Conventional water-based heat transfer systems are difficult to install on a large scale, making them impractical for home use. Therefore, most people instead use direct electric heaters, or pump up underground water for melting snow on the roof or road heating, yet these methods are problematic in terms of cost and environmental impact. Sakae is positioning the Aqua System as its next generation mainstay product. Taking advantage of its ability to shape plates freely with in-house casting, the company prototyped the plate’s shape several times during development and pursued a shape that was not only compact and efficient, but one that would cause the least failure. The pipeline is thin, so to suppress heat radiation and raise energy efficiency the company adopted a coating agent with silicon materials which improves performance and keeps down running costs. The Aqua System is scheduled to go on sale during 2016. At first glance, the new high-performance KOON speaker resembles a spaceship from a sci-fi movie, with smooth curves that define its heavy, matte-black body. From that mysterious and alien shape emanates acoustics akin to a musical instrument during a live performance right before one’s eyes. The crystal-clear sound that resonates throughout the body is thanks to the aluminum casting properties. Lifting up this newly developed speaker with a weight of 10kg and a body thickness of approximately 10mm, its heft seems to linger in the hand, allowing one to appreciate the KOON’s unique metal casting. Conventional speakers are typically made in a “square box,” since that shape is easy to produce and keeps costs down. 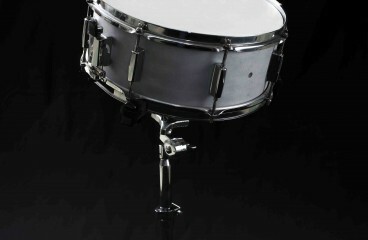 However, Sakae aimed for an ideal sound. Despite imposing some difficulty on themselves, they pushed their technical ability to the limits in casting a large, heavy, spherical enclosure. The KOON speaker is the result of Sakae’s absolutely uncompromising pride of craftsmanship. The company invited the cooperation of a dedicated acoustic manufacturer for the sound adjustment, and by repeatedly making prototypes and undergoing trial listening, Sakae was able to ensure that the KOON would meet professional quality standards. KOON was developed by pooling the strengths of the IJJ, a small-to-medium enterprise union that is a voluntary assembly in Tokyo’s Hachioji City, where Sakae is based. The union was formed with the aim of creating original B2C products instead of simply working as subcontractors of large enterprise. 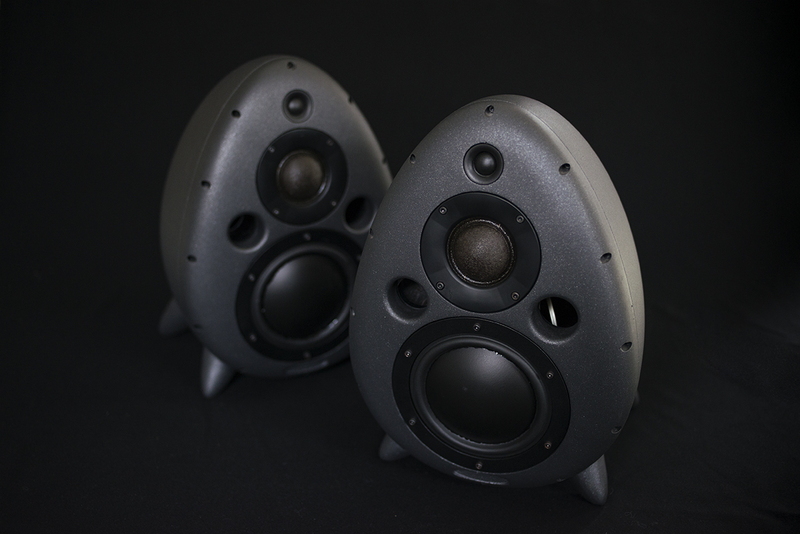 Sakae plans to further improve KOON and to develop speakers with its own original shape going forward, and produce even more large-scale and compact variations to accommodate user applications. 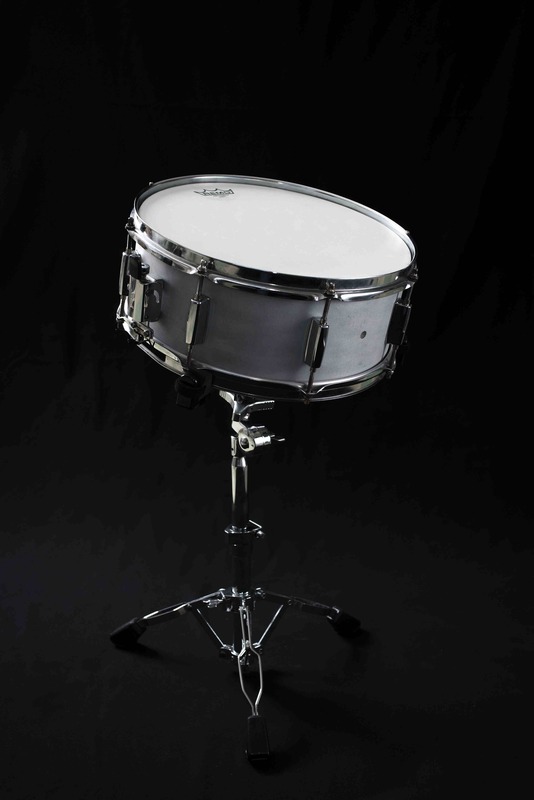 Now, after speakers, the company is producing casting for snare drums, which is currently in the prototype stage. Sakae is strategically employing “refugees” and non- Japanese in an effort to position itself for international business. The company has been recognized for its efforts in promoting diversity, being the first in Japan to proactively employ refugees. And in 2015, the company was selected for the Top 100 Diversity Management Selection Award, sponsored by the Ministry of Economy, Trade, and Industry. Up until now, a total of nine people have worked at Sakae, with four refugees currently employed. The company also occasionally accepts interns from other nations, such as Korea. More than half of Sakae’s sales now are from transactions with companies abroad, and the company can support a total of seven languages including English and Korean in-house. Moreover, employees are making it their goal to provide an initial response to inquiries from overseas businesses within 24 hours. Sakae intends to make further progress in globalization in the future, and in March the company will set up its fourth overseas branch in Seoul, engaging two or three people as interns. 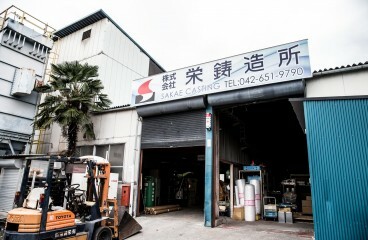 Sakae used to be just a domestic player in Japan, but now the company is taking its refined casting technology and original products to the global stage.